We are currently staying in a 7 bedroom house in Plumstead and looking for other tenants. We are looking for young professionals or senior students. We would like to meet those of you who are looking for a home away from home plus the style and comfort this house has to offer. Have a squizz at the pics and see if this is something you would like to have a look at. Room 2 does not have an ensuite R3100 avail immediately. 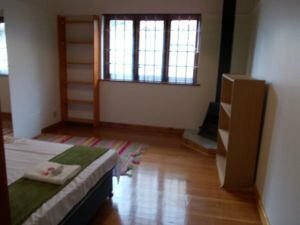 Room 3 has a fireplace and no ensuite priced R3100 avail 1 December an American student is currently occupying that room. Room 5 and 6 have an ensuite and their own entrance to the garden and those rooms are taken. Room 2,3 and 4 will share a bathroom with a shower and a bath. Then there is still space for one car in the garage for R250, however there is ample space off street which is where I park. One month deposit. Water incl. Elec excluded, we have a prepaid meter for that. Umlazi christian student accomodation close to all transport we are on main road.fully furnished.